This is a simple tutorial that explains how to use Google Assistant on macOS. 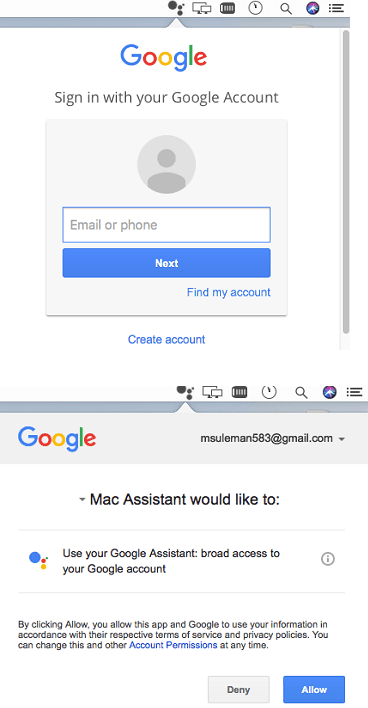 MACAssistant is a free open source app for MAC that you can use to get Google Assistant on your iMac or MBP. It uses the original Google Assistant API and can do other things with voice command on your MAC. You just have to sign in using your Google account to authorize this app to use Google Assistant. Once you install this, you can easily use it to ask some general questions, add appointments, right from the menu bar. Just invoke it in one click and then say any command and it will execute it. 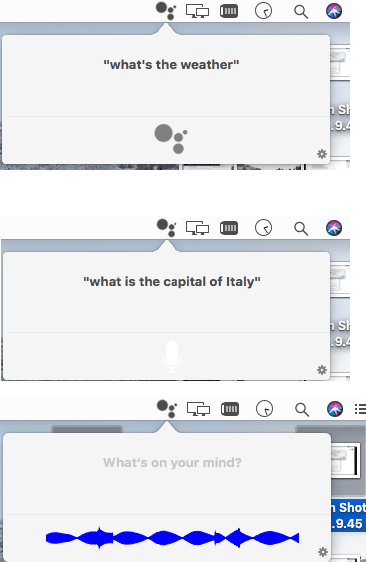 macOS already ships with a very nice personal assistant, Siri. But if you want to use Google Assistant then you can use the third-party app that I have listed in this post. You can use it in the same way as you use it on other devices. You just have to install it once and then you can start using it anytime you want. Also, you don’t have to keep it running all the time. When you no longer need it, you can log out and then even quit the app. How to Use Google Assistant on macOS? MACAssistant is a kinda popular app that you can use in macOS right now. It has so much reputation on GitHub and that is why thought to write about it. Even though, some functionalities are missing like “Ok Google”, it is very good. To use this on MAC, you just download it from here. After that, you can install run it and you will see its menubar icon. Also, remember that this app needs to be allowed from the MAC gatekeeper as well. After you do that, you can start using it. The first time you click on its icon, it will ask for sign in using your Google account. After successful sign in, simply allow it to Google Assistant related things and then you can you are done. Now, whenever you want to use the Google Assistant, simply click on its icon and then start speaking then command. You can ask it about the weather, currency exchange, or anything else. It will process your command and will say the answer aloud. You can keep using this in the same way. Above, you can see how this app works on your MAC. If you want to have Google Assistant on your MAC desktop or laptop then you may give this app a try. You just have to sign in using your Google account in order to authorize this app. You can use the small gear icon on its interface to log out and quit the application. Google Assistant primarily available on mobile devices right now. But if you want to use it on a MAC machine then you will find the app I have mentioned above will be helpful. Just install this simple open source app and then use it to do whatever you like. Ask it about anything and get then corresponding reply quickly.